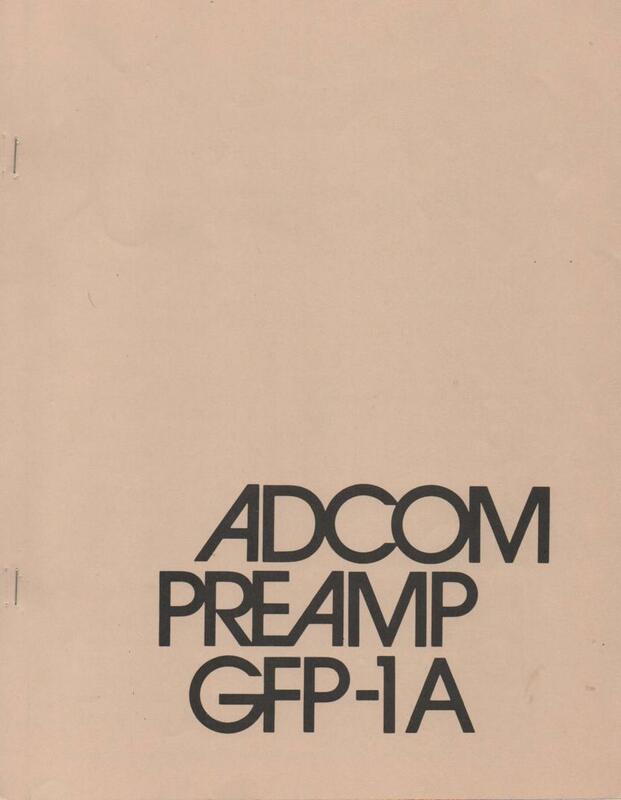 Manual ADCOMGFP-1A Pre-Amplifier Owners Manual PHOTO COPY! 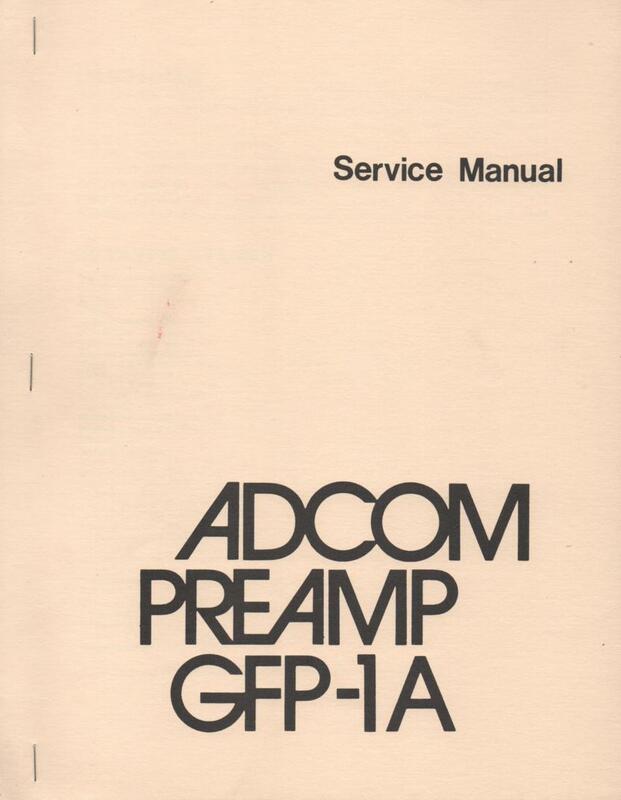 Manual ADCOMGFP-1A Pre-Amplifier Service Manual PHOTO COPY! 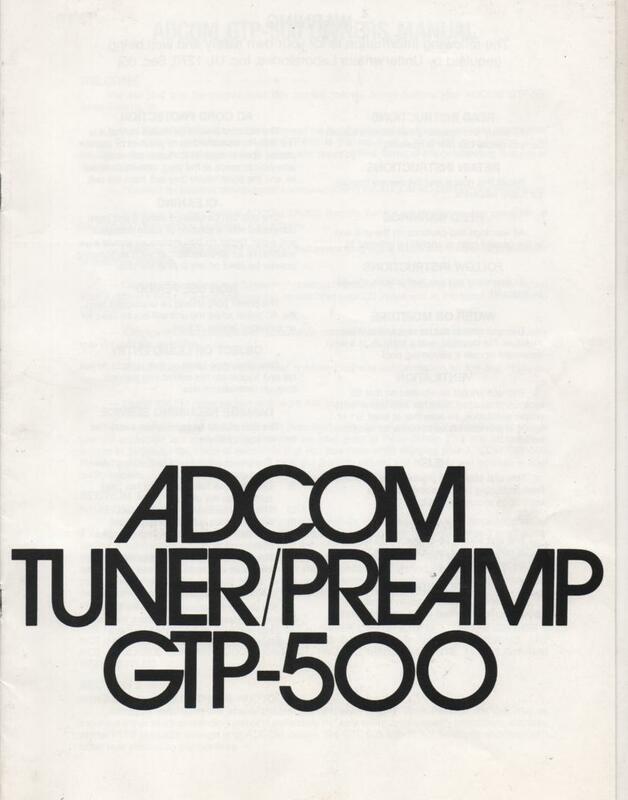 Manual ADCOMGTP-500 Tuner Pre-Amplifier Service Manual PHOTO COPY! 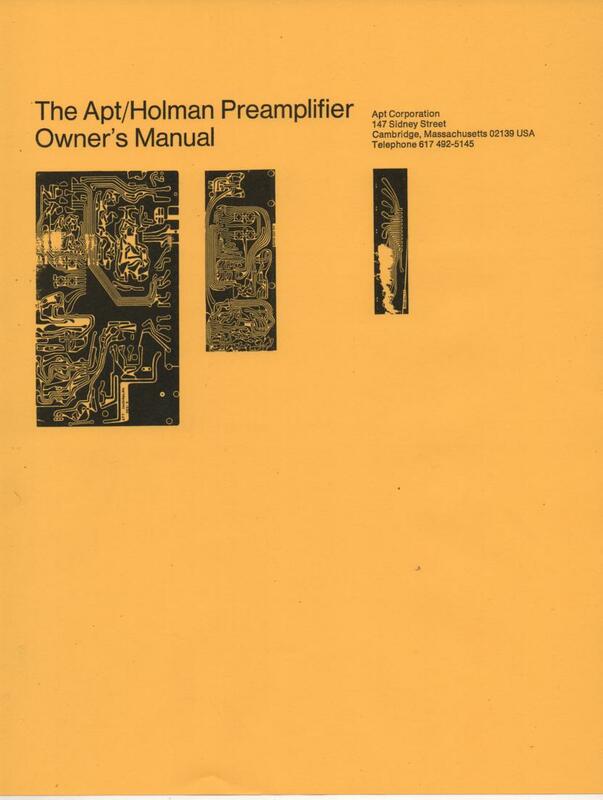 Manual APTHolman Pre Amplifier Owners Manual PHOTO COPY! 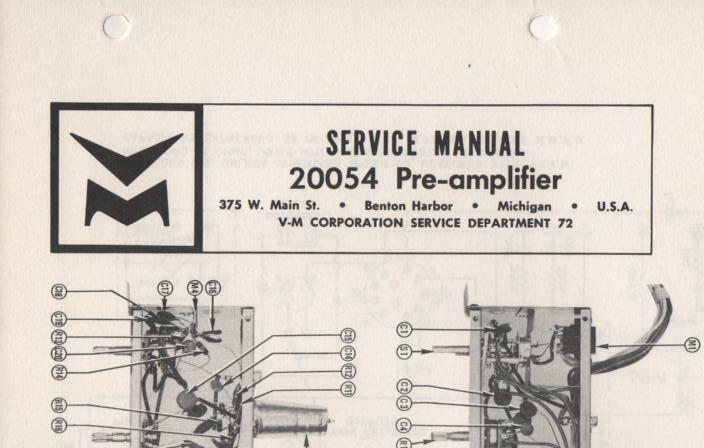 Manual Bose4401 Pre-Amplifier Service Manual PHOTO COPY! 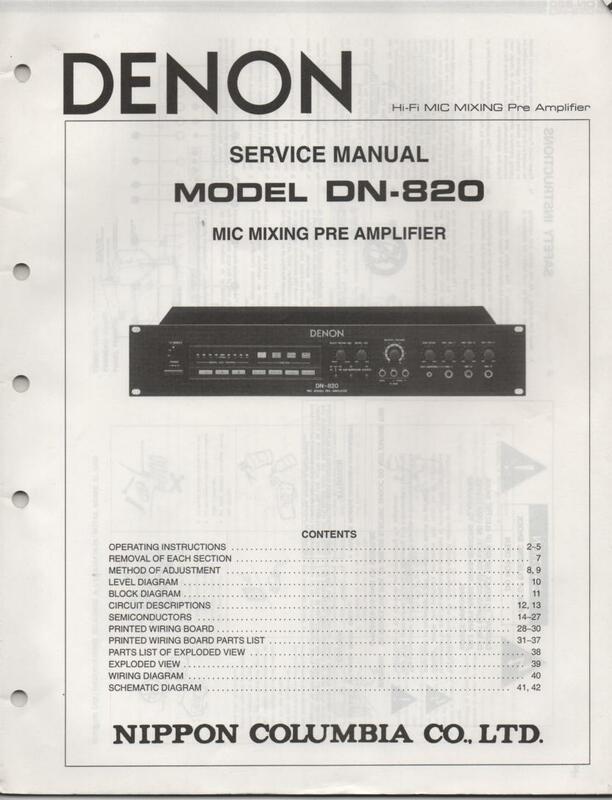 Manual DENONDN-820 Microphone Mixing Pre-Amplifier Service Manual PHOTO COPY! 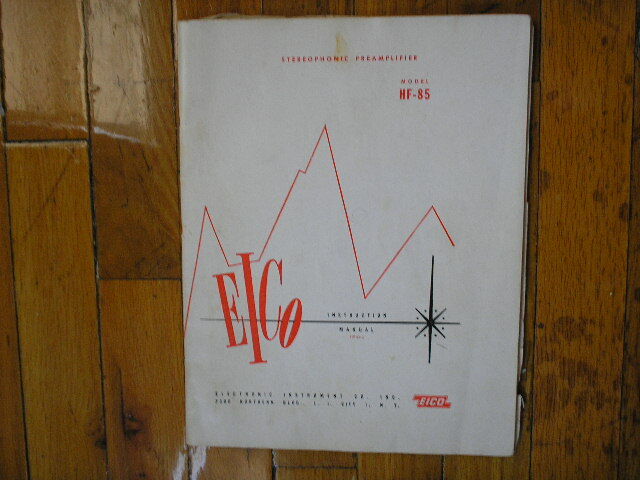 Manual EicoHF-85 Pre-Amplifier Service Instruction Manual PHOTO COPY! 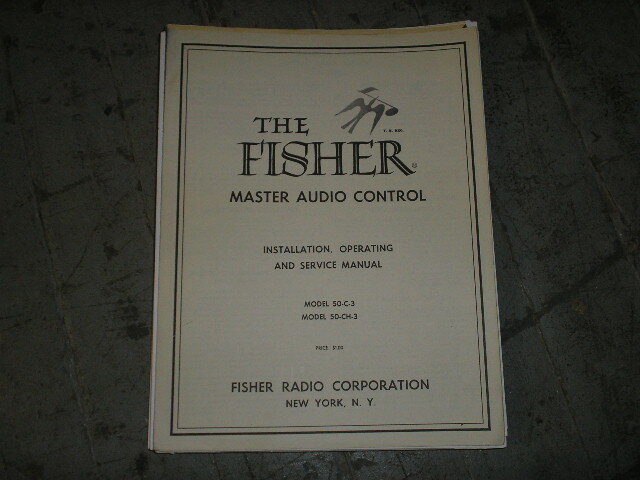 Manual Fisher50-C 50-CH Audio Controller Service Manual PHOTO COPY! 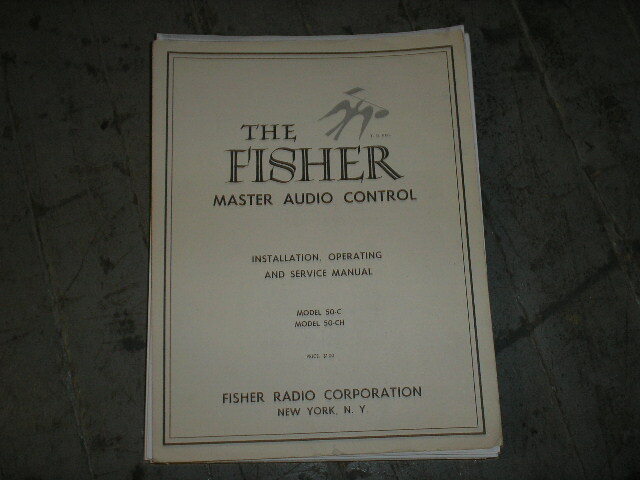 Manual Fisher50-C-3 50-CH-3 Audio Controller Service Manual PHOTO COPY! 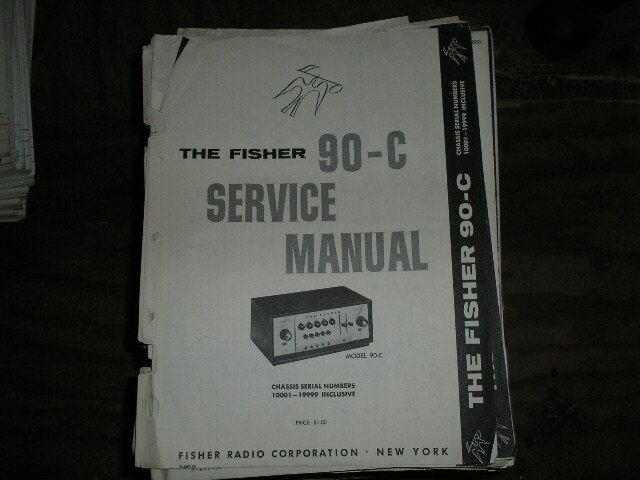 Manual Fisher90-C Pre-Amplifier Service Manual .. Serial Number 10001 - 19999 PHOTO COPY! 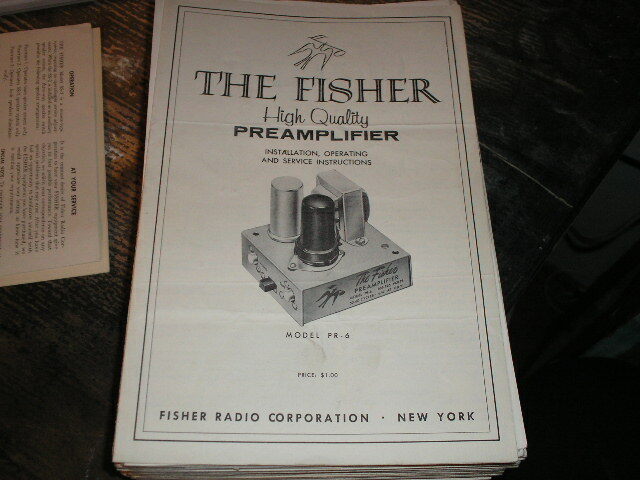 Manual FisherPR-6 PRE-AMPLIFIER Installation Operating and Service Instruction Manual PHOTO COPY! Manual Harman KardonCPE-3 Pre-Amplifier Module Service Information PHOTO COPY! 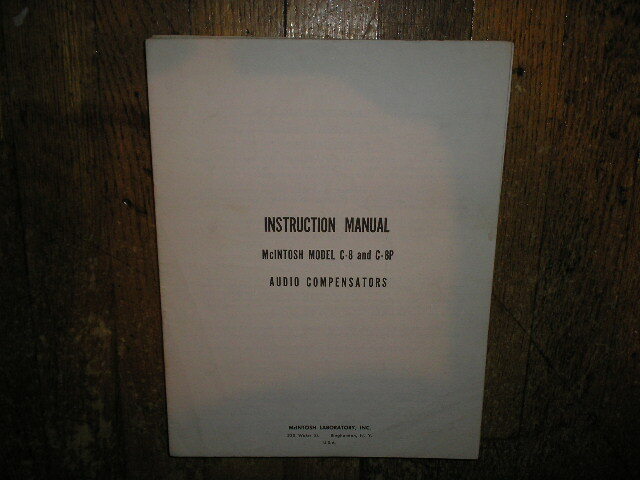 Manual Harman KardonCPR-2 Microphone Pre-Amplifier Service Information PHOTO COPY! 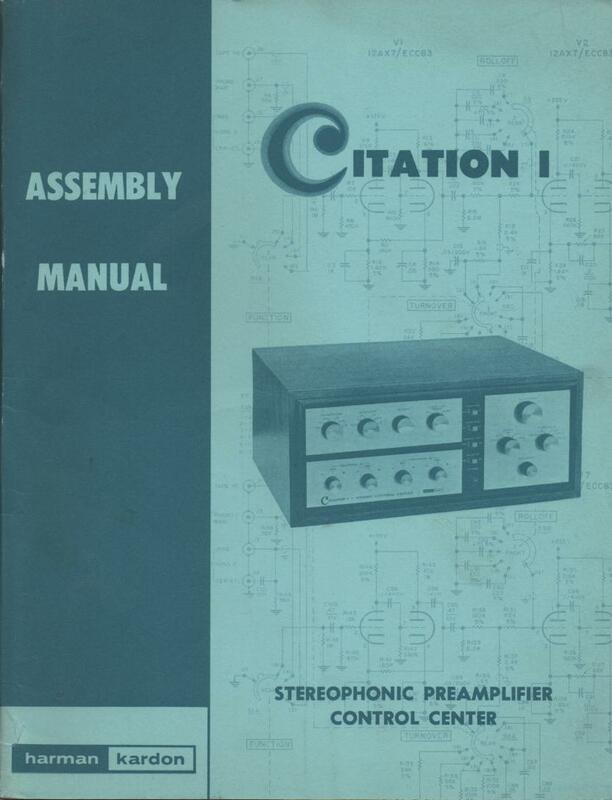 Manual Harman KardonCitation 1 Pre-Amplifier Assembly Instruction Manual PHOTO COPY! 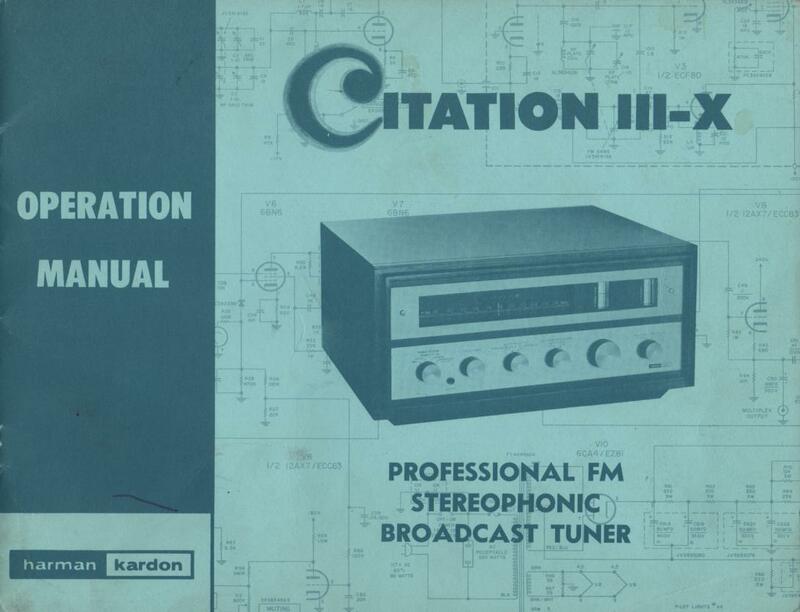 Manual Harman KardonCitation 1 Pre-Amplifier Operating Instruction Manual PHOTO COPY! 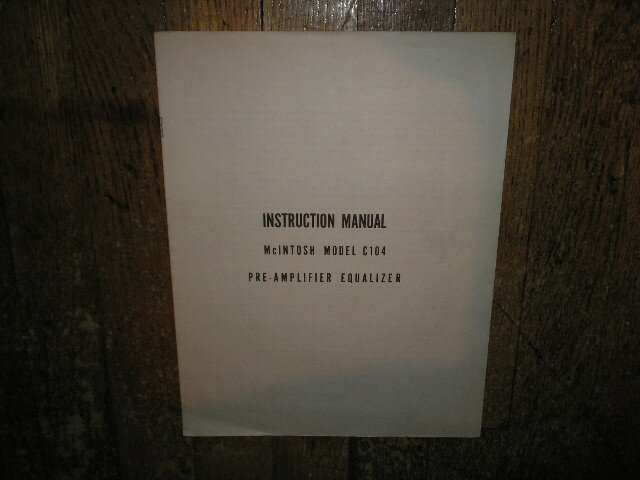 Manual Harman KardonCitation 2 Amplifier Operating Service Instruction Manual PHOTO COPY! 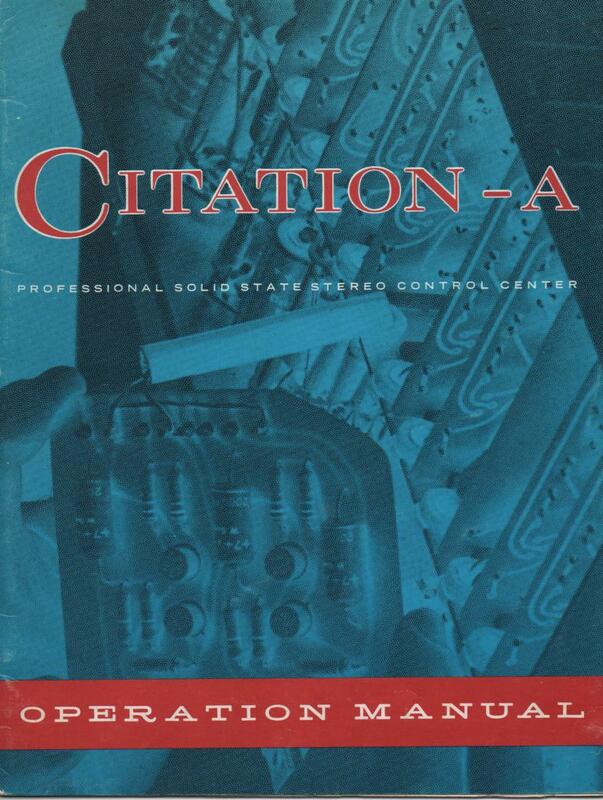 Manual Harman KardonCitation 3 X Tuner Operating Service Instruction Manual PHOTO COPY! 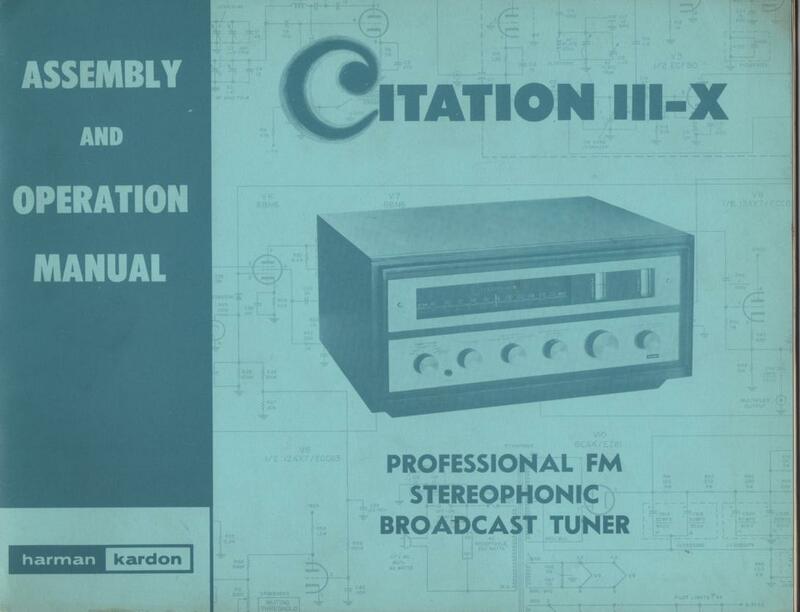 Manual Harman KardonCitation 4 IV Pre-Amplifier Operating Assembly Instruction Manual PHOTO COPY! 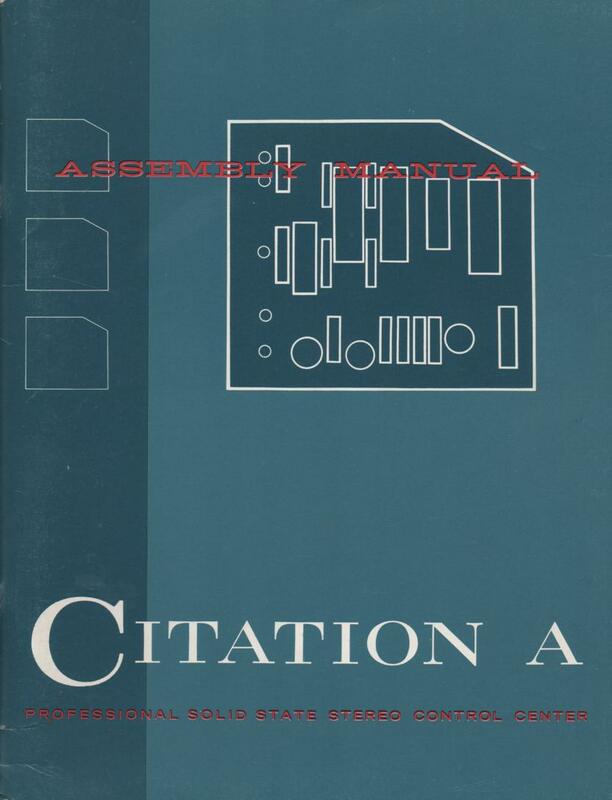 Manual Harman KardonCitation A Pre- Amplifier Assembly Instruction Manual PHOTO COPY! 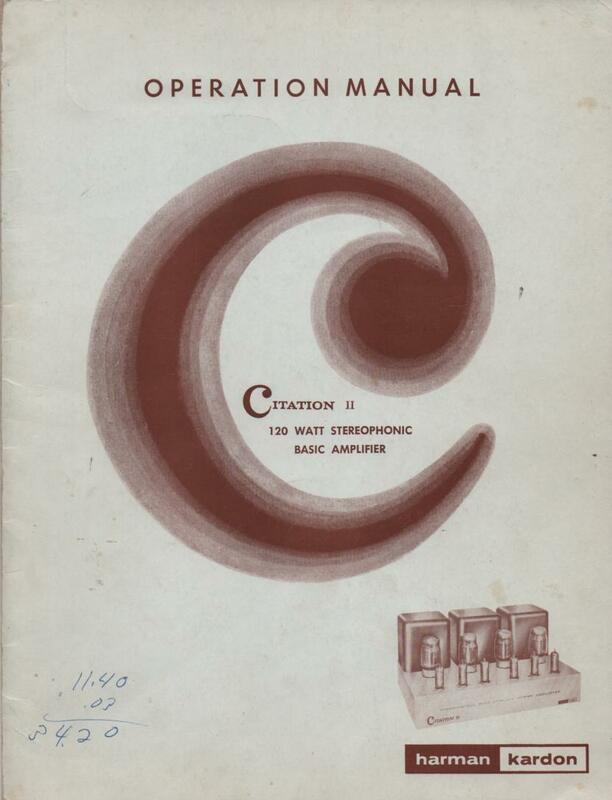 Manual Harman KardonCitation A Pre-Amplifier Operating Instruction Manual PHOTO COPY! 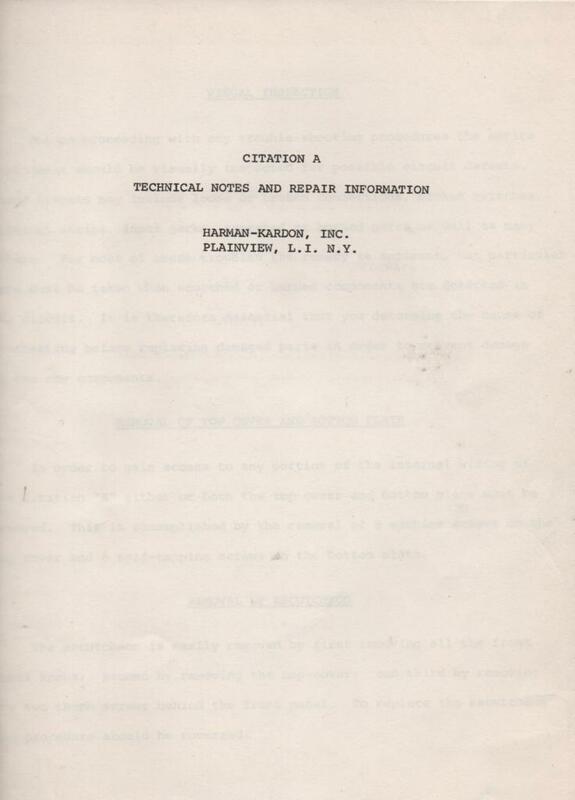 Manual Harman KardonCitation A Pre-Amplifier Service Instruction Manual PHOTO COPY! 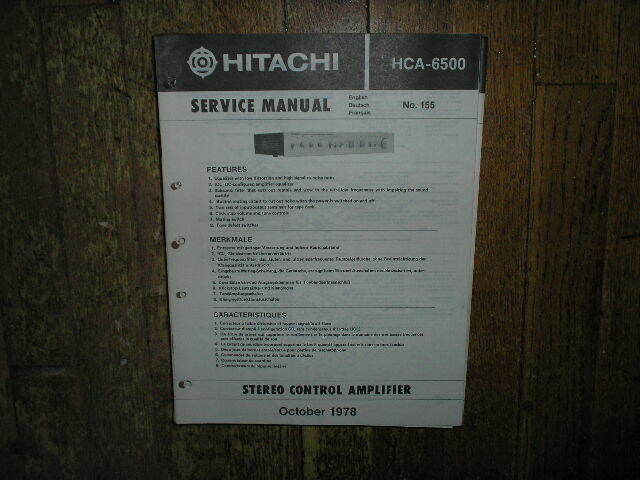 Manual HitachiHCA-6500 Pre-Amplifier Service Manual PHOTO COPY! 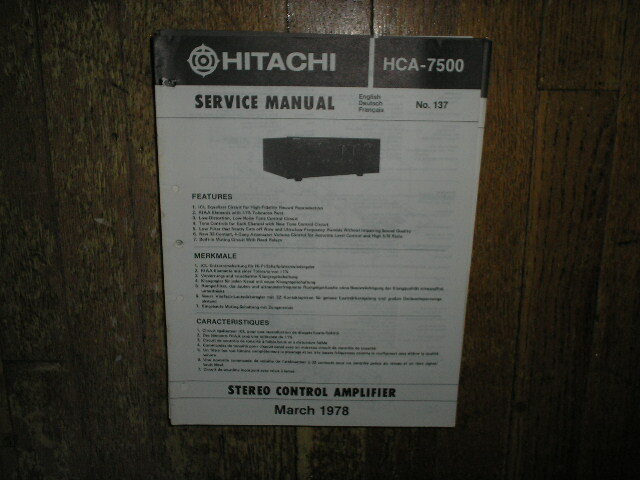 Manual HitachiHCA-7500 Pre-Amplifier Service Manual PHOTO COPY! 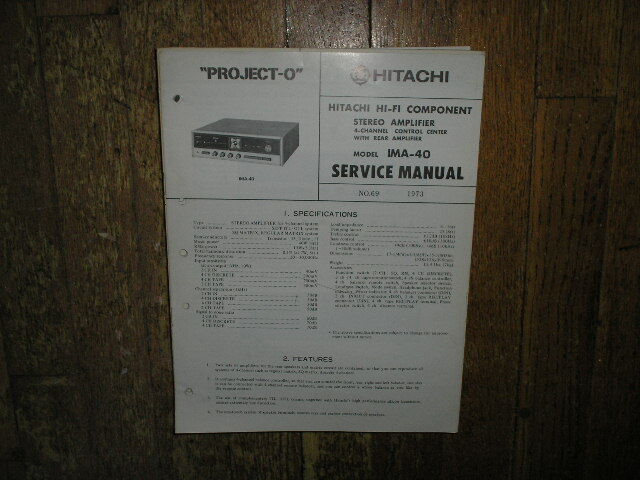 Manual HitachiHCA-8300 Pre-Amplifier Service Manual PHOTO COPY! 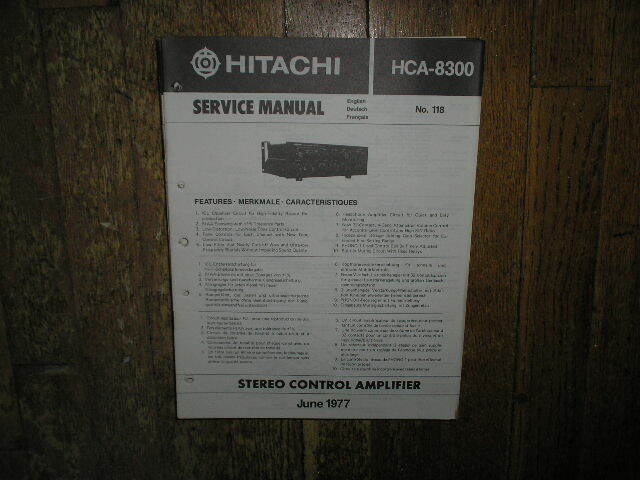 Manual HitachiIA-600 Pre-Amplifier Service Manual PHOTO COPY! 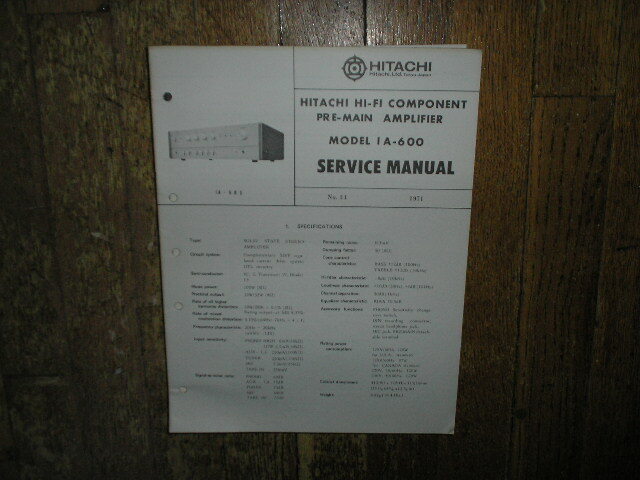 Manual HitachiIMA-40 Pre-Amplifier Service Manual PHOTO COPY! 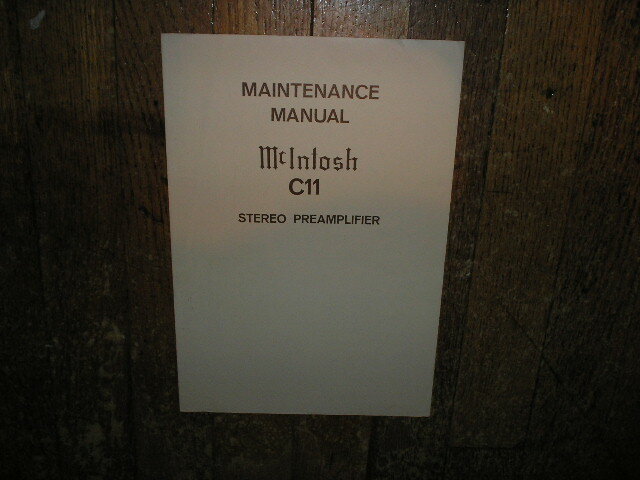 Manual LEAKPoint One Pre-Amplifier Service Manual PHOTO COPY! 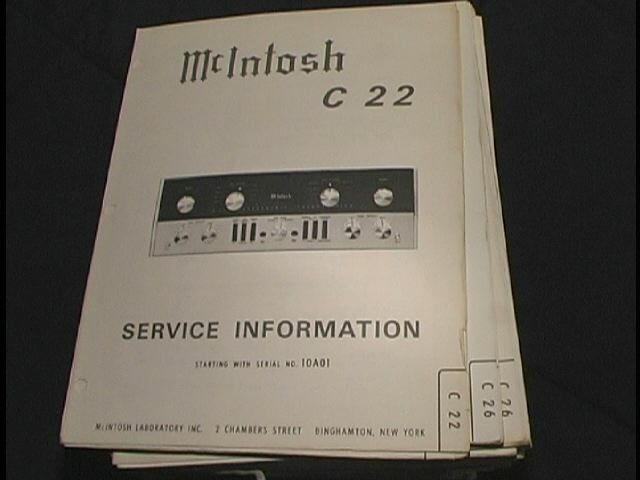 Manual McIntoshC 22 Pre-Amplifier Service Manual Starting with Serial No 10A01 c22 PHOTO COPY! 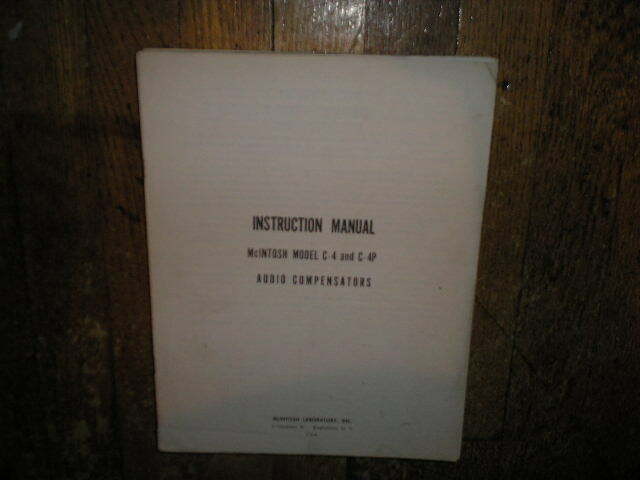 Manual McIntoshC-4 C-4P Audio Compensator Service Manual PHOTO COPY! 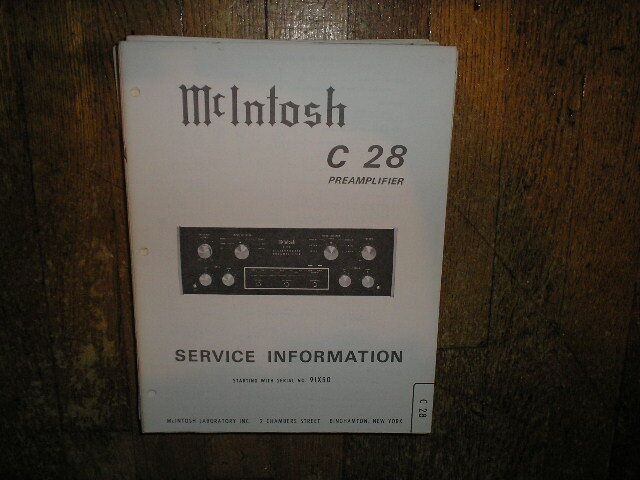 Manual McIntoshC-8 C-8P Audio Compensator Service Manual PHOTO COPY! 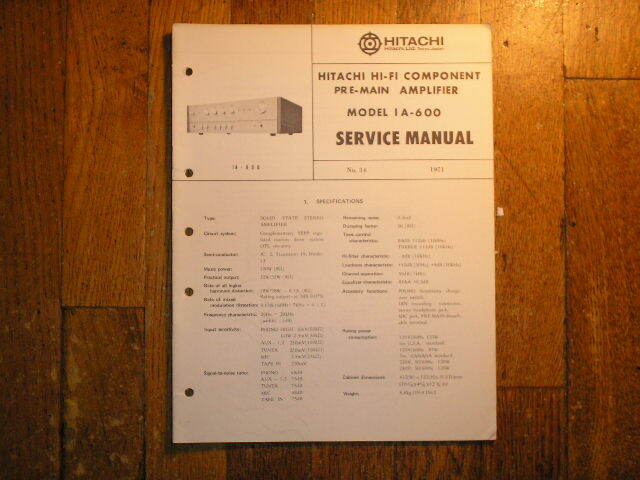 Manual McIntoshC-8 C-8P Audio Compensator Service Manual Starting with Serial No 10600 and Up PHOTO COPY! 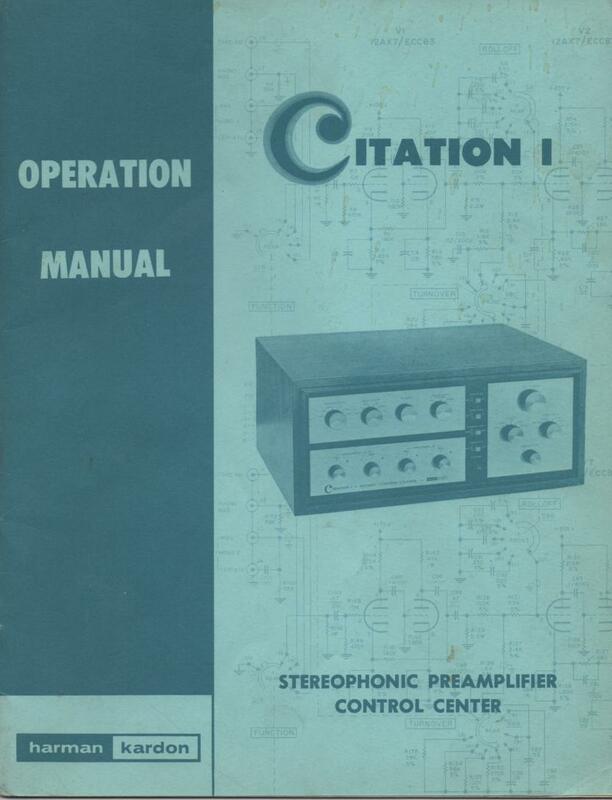 Manual McIntoshC 11 Pre-Amplifier Service Manual. 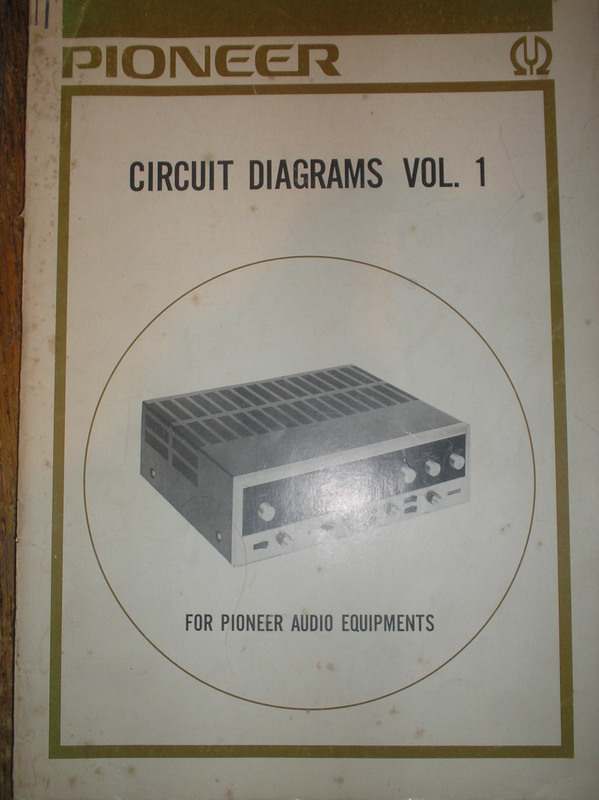 Contains Schematic,Parts List and Resistance and Voltage Chart PHOTO COPY! 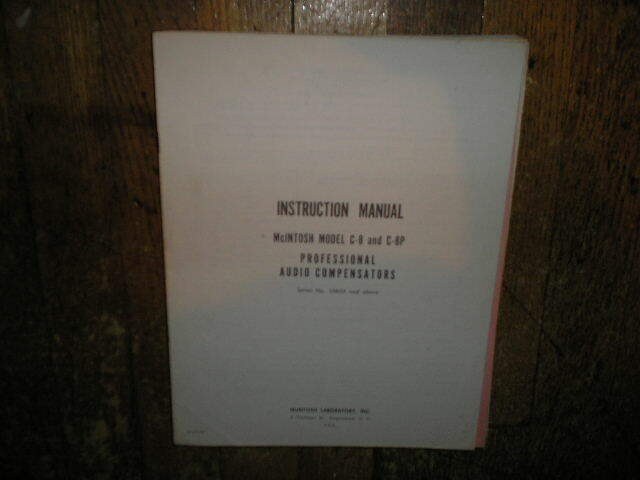 Manual McIntoshC-104 Pre-Amplifier Equalizer Service Manual PHOTO COPY! 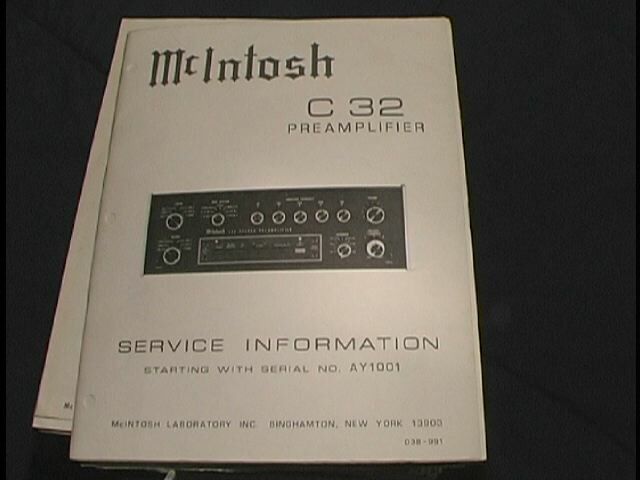 Manual McIntoshC-109 Pre-Amplifier Equalizer Service Manual PHOTO COPY! 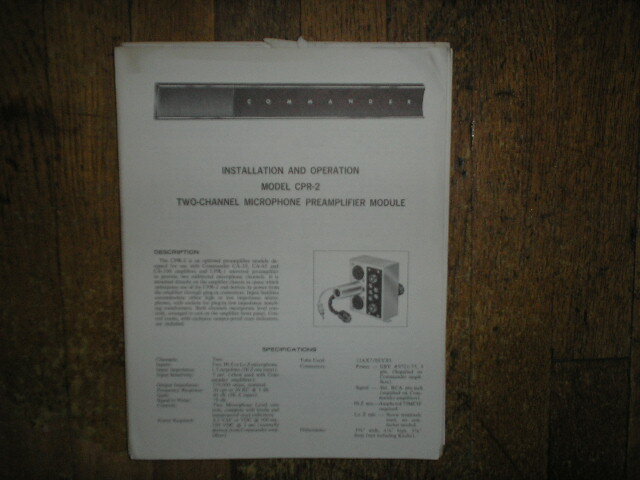 Manual McIntoshC 24 Pre-Amplifier Service Manual Starting with Serial No 10D01 PHOTO COPY! 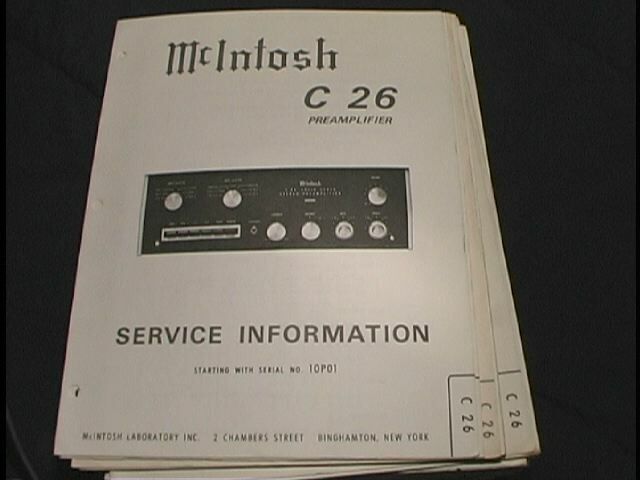 Manual McIntoshC 26 Pre-Amplifier Service Manual Starting with Serial No 10P01 PHOTO COPY! 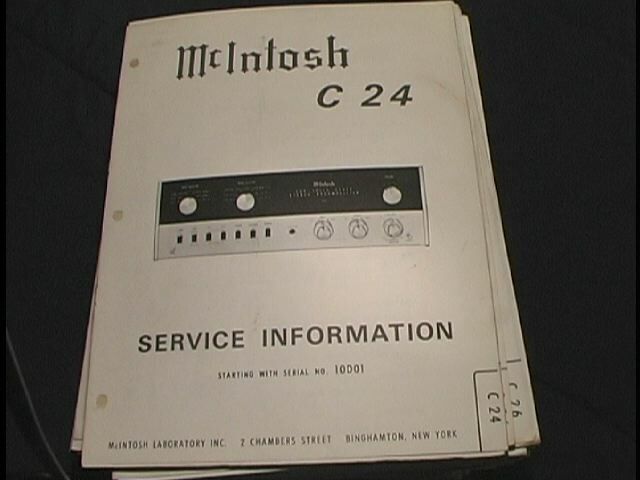 Manual McIntoshC 27 Pre-Amplifier Service Manual Starting with Serial No BV1001 PHOTO COPY! 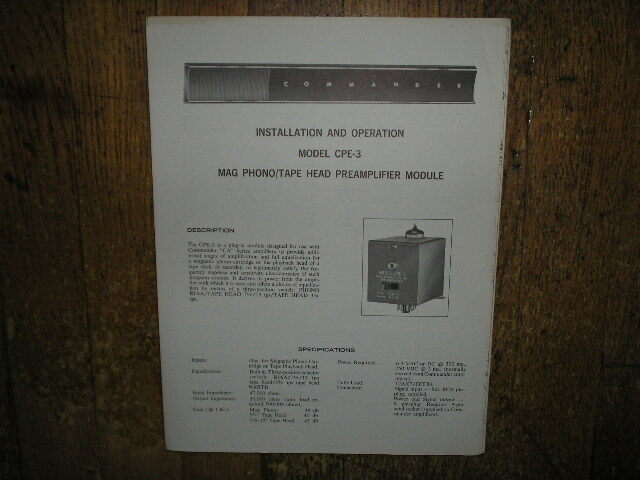 Manual McIntoshC 28 Pre-Amplifier Service Manual Starting with Serial No 10X01 to 91X49 PHOTO COPY! 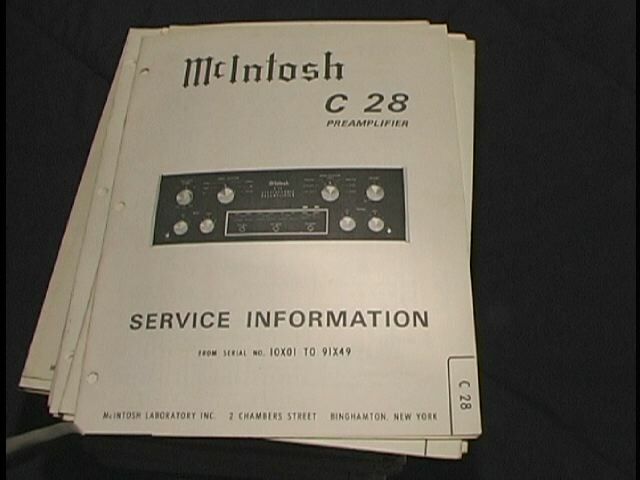 Manual McIntoshC 28 Pre-Amplifier Service Manual Starting with Serial No 91X50 PHOTO COPY! 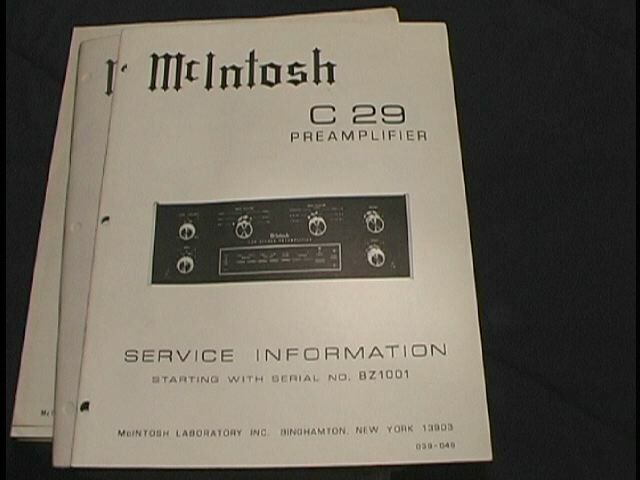 Manual McIntoshC 29 Pre-Amplifier Service Manual Starting with Serial No BZ1001 PHOTO COPY! 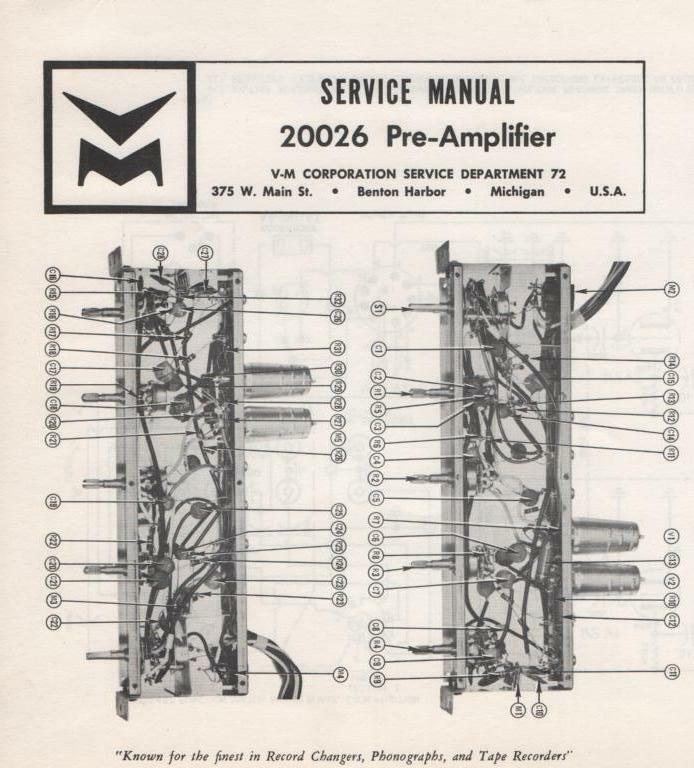 Manual McIntoshC 32 Pre-Amplifier Service Manual Starting with Serial No AY1001 PHOTO COPY! 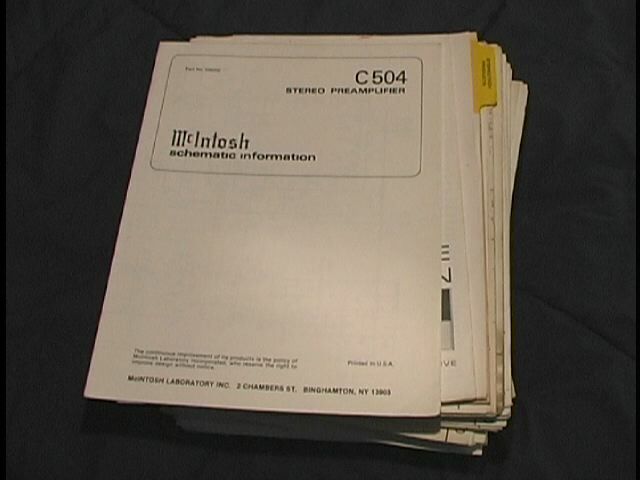 Manual McIntoshC 504 Pre-Amplifier Schematic Manual PHOTO COPY! 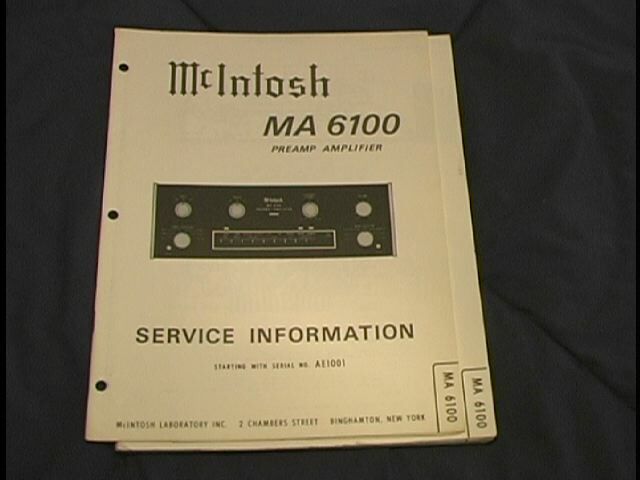 Manual McIntoshMA 6100 Pre-Amp Amplifier Service Manual Starting with Serial No AE1001 PHOTO COPY! 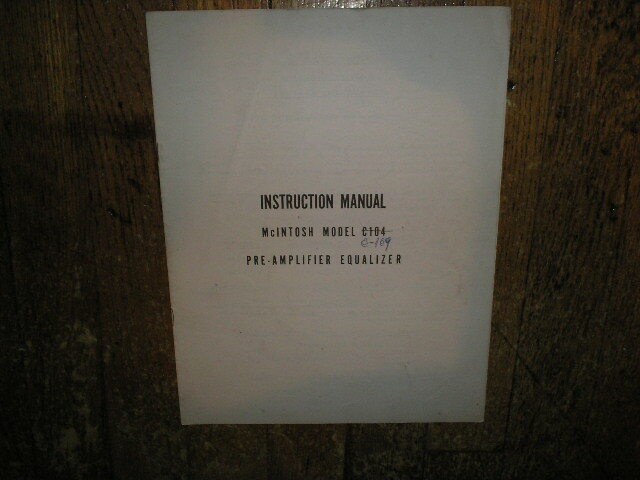 Manual McIntoshMA 6100 Pre-Amp Amplifier Service Manual Starting with Serial No AE1001 TO AE7149 PHOTO COPY! 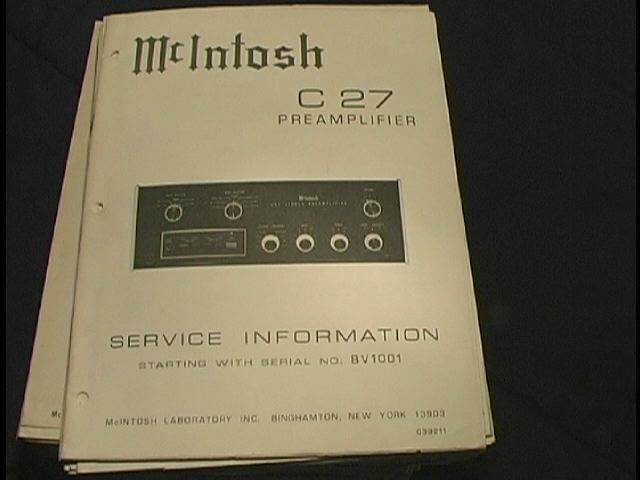 Manual McIntoshMA 6100 Pre-Amp Amplifier Service Manual Starting with Serial No AE7150 PHOTO COPY! 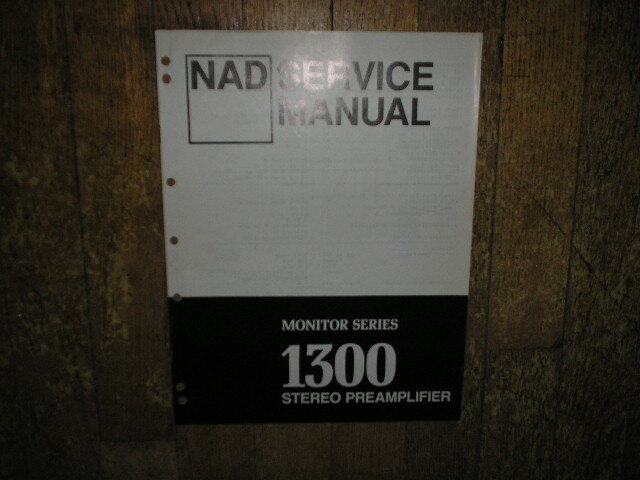 Manual NADMonitor Series 1300 Stereo Pre-Amplifier Service Manual PHOTO COPY! 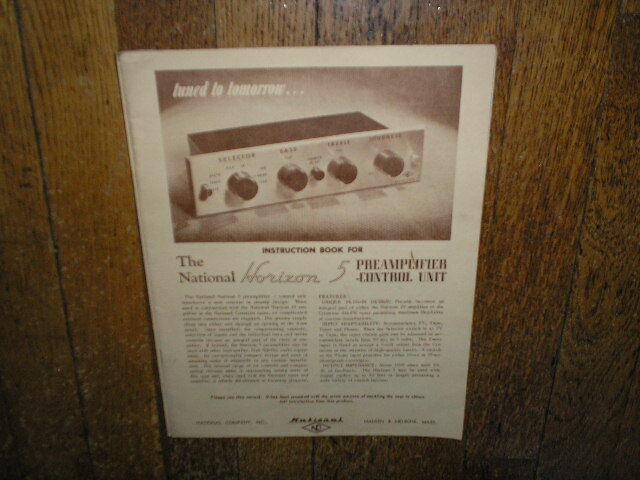 Manual NATIONALHorizon 5 Pre-Amplifier Control Unit Service Manual PHOTO COPY! 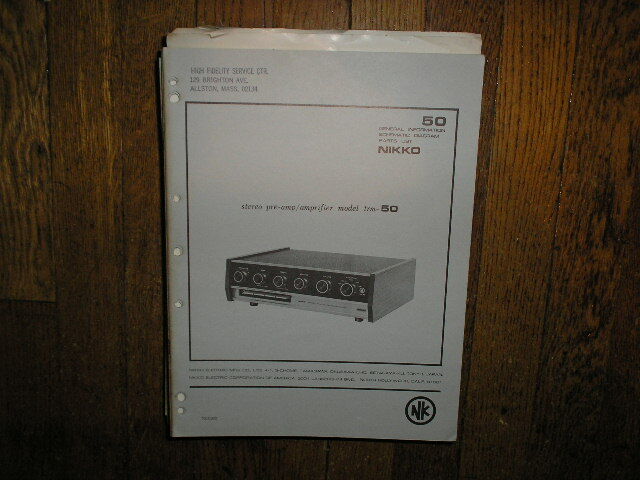 Manual NikkoTRM-50 Amplifier Service Manual with Schematic PHOTO COPY! 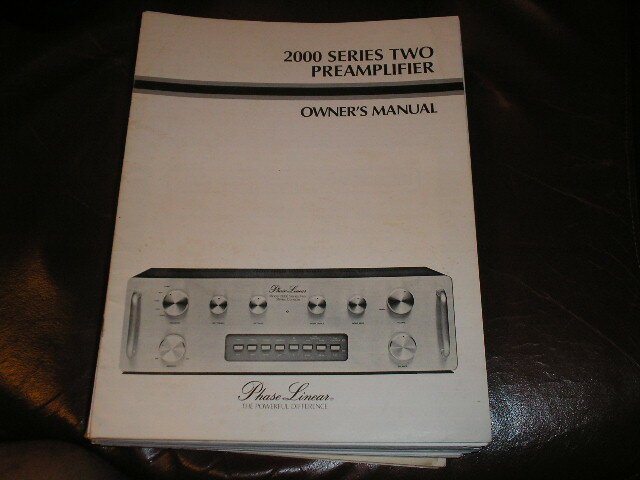 Manual Phase Linear2000 Series Two 2 Pre-Amplifier Owners Manual PHOTO COPY! 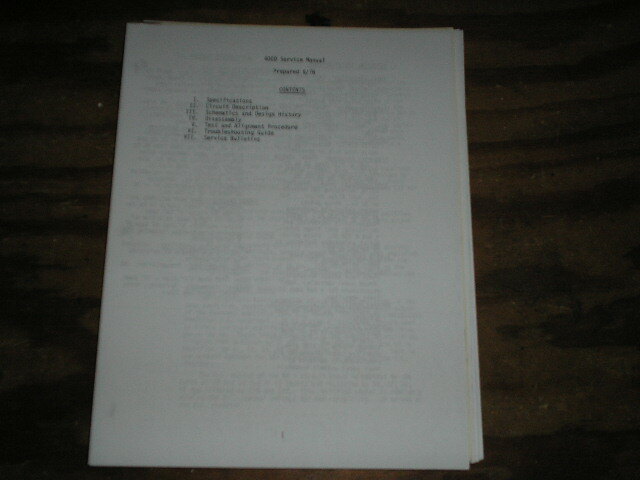 Manual Phase Linear2000 Series Two 2 Pre-Amplifier Service Manual PHOTO COPY! 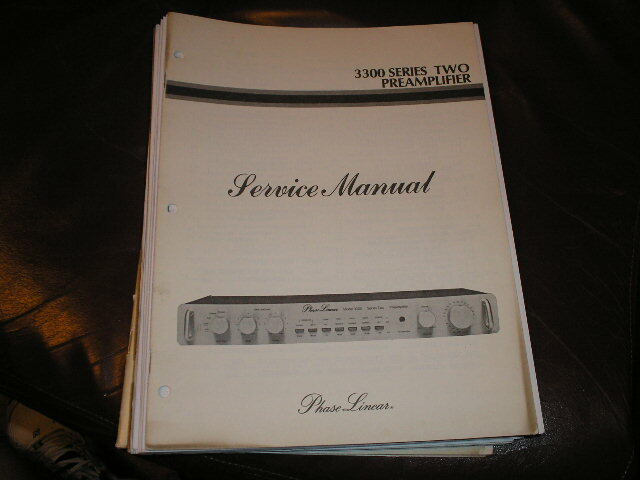 Manual Phase Linear3300 Series Two 2 Pre-Amplifier Service Manual PHOTO COPY! 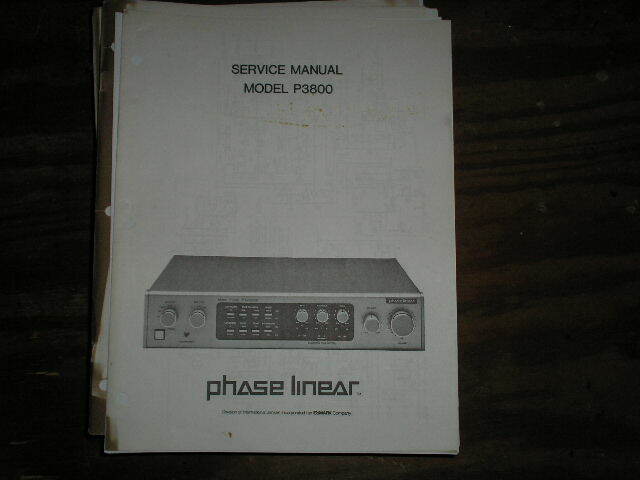 Manual Phase Linear3500 Series Two 2 Pre-Amplifier Service Manual PHOTO COPY! 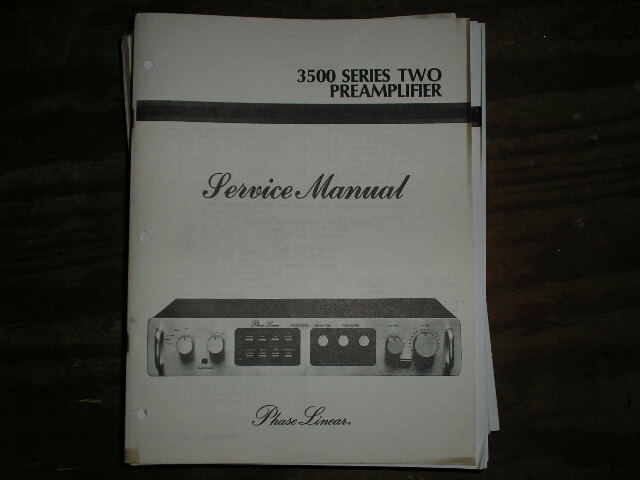 Manual Phase LinearP3800 Pre-Amplifier Service Manual PHOTO COPY! 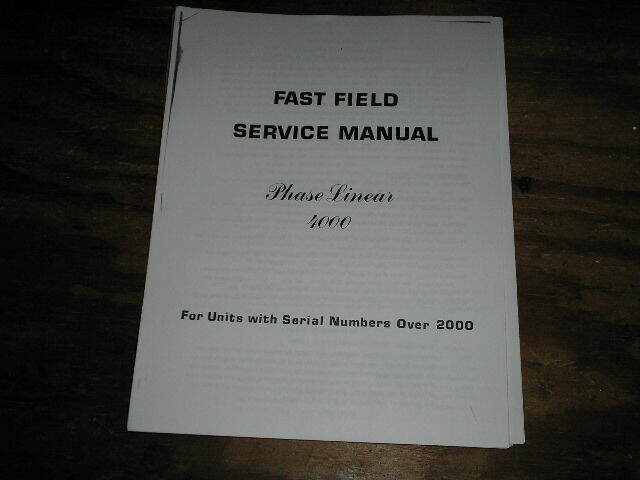 Manual Phase Linear4000 Pre-Amplifier Service Manual Service Manual PHOTO COPY! 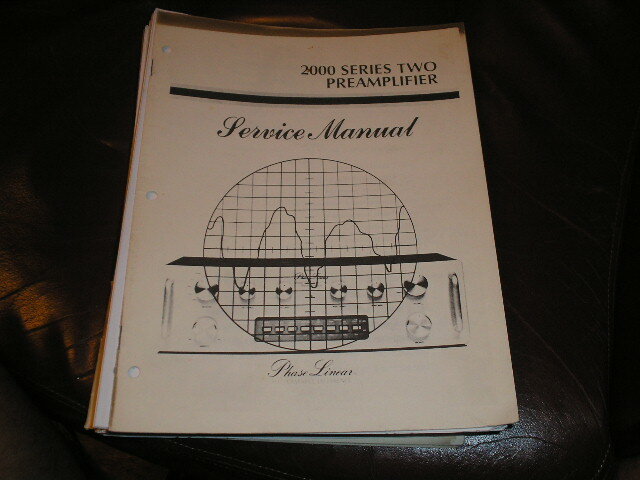 Manual Phase Linear4000 Pre-Amplifier Service Manual for Serial # 2000 and above.. PHOTO COPY! 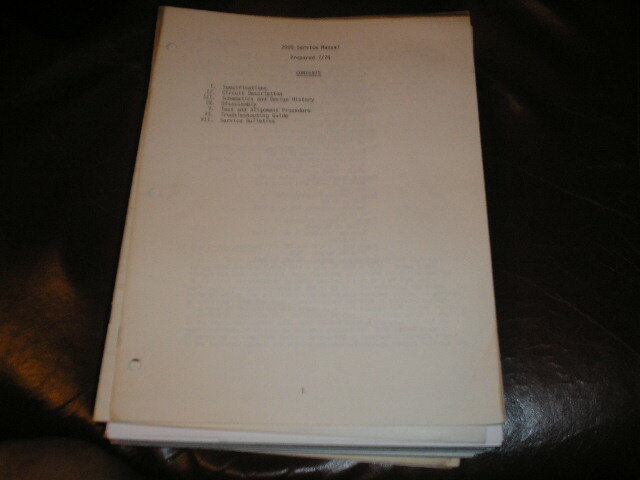 Manual Phase Linear2000 Pre-Amplifier Service Manual Early Production PHOTO COPY! 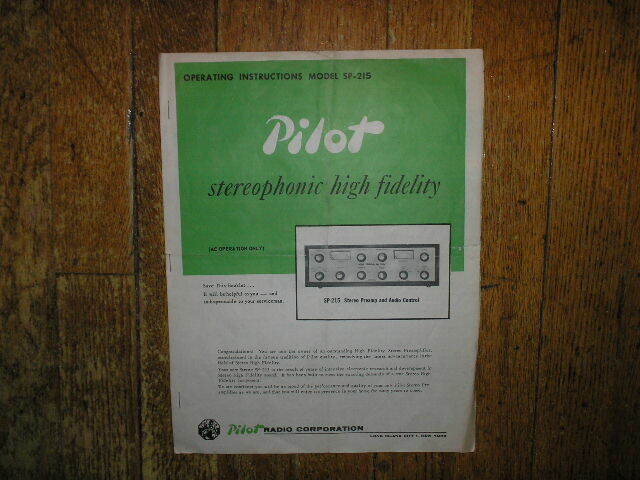 Manual PilotSP-215 Stereo Pre-Amplifier Service Manual PHOTO COPY! 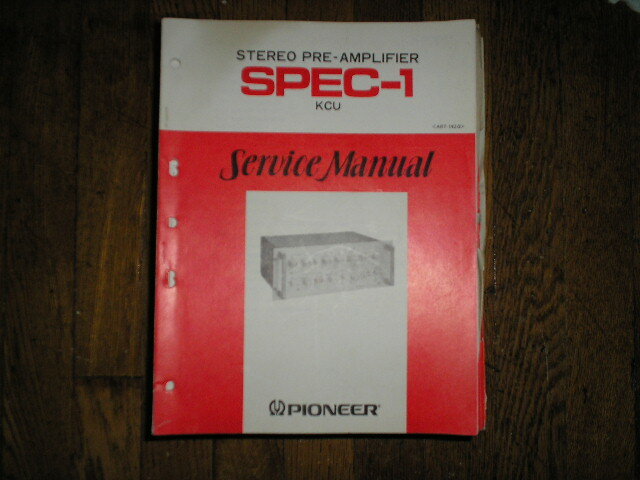 Manual PioneerSPEC-1 Stereo Pre-Amplifier Service Manual ART-142 PHOTO COPY! 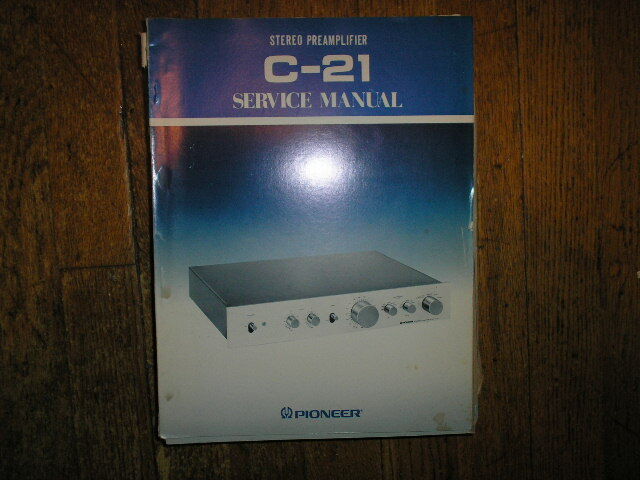 Manual PioneerC-21 Stereo Pre-Amplifier Service Manual PHOTO COPY! 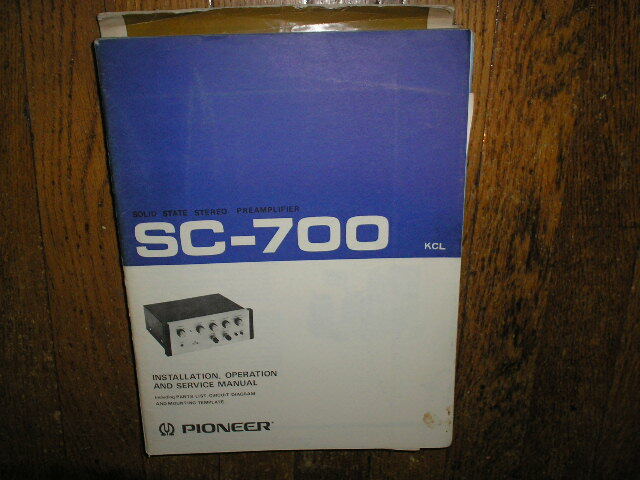 Manual PioneerSC-700 KCL Stereo Pre-Amplifier Service Manual PHOTO COPY! Manual PioneerSTP1 Turntable Pre-Amp Schematic PHOTO COPY! Manual PioneerSTP1S Turntable Pre-Amp Schematic PHOTO COPY! Manual PioneerSTP2 Turntable Pre-Amp Schematic PHOTO COPY! 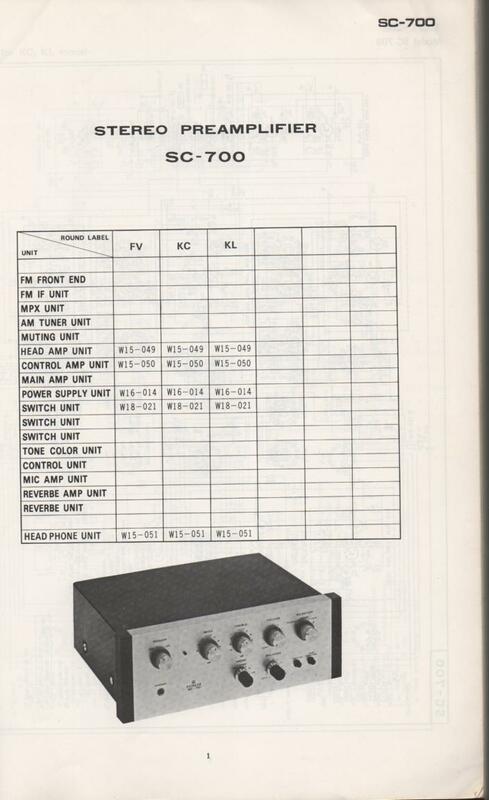 Manual PIONEER SCHEMATIC MANUALSSC-700 Pre-Amplifier Schematic Manual Only. It does not contain parts lists, alignments,etc. 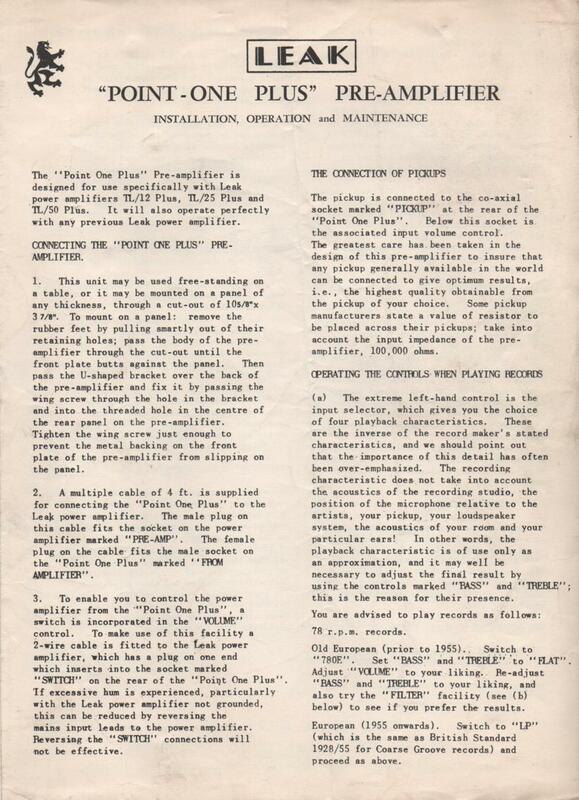 Schematics only PHOTO COPY! 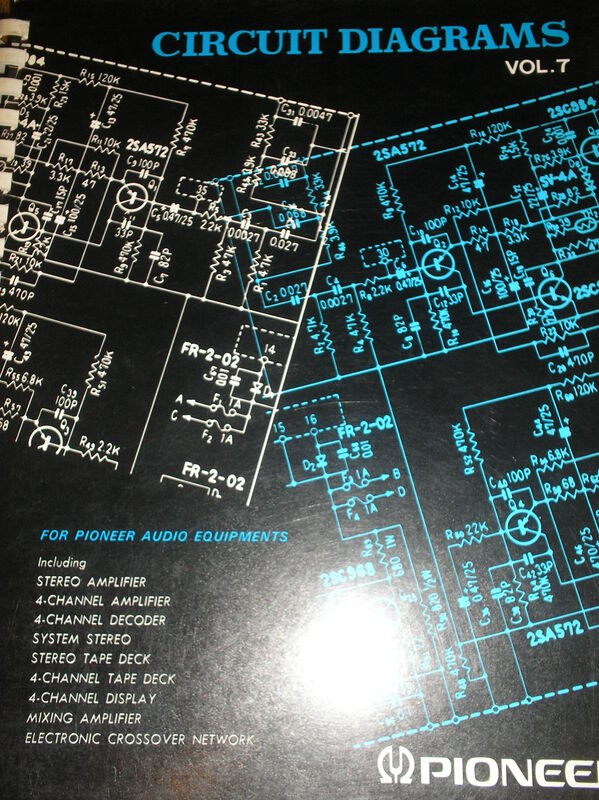 Manual PIONEER SCHEMATIC MANUALSQC-800 Quadraphonic Pre-Amplifier Schematic Manual Only. It does not contain parts lists, alignments,etc. Schematics only PHOTO COPY! 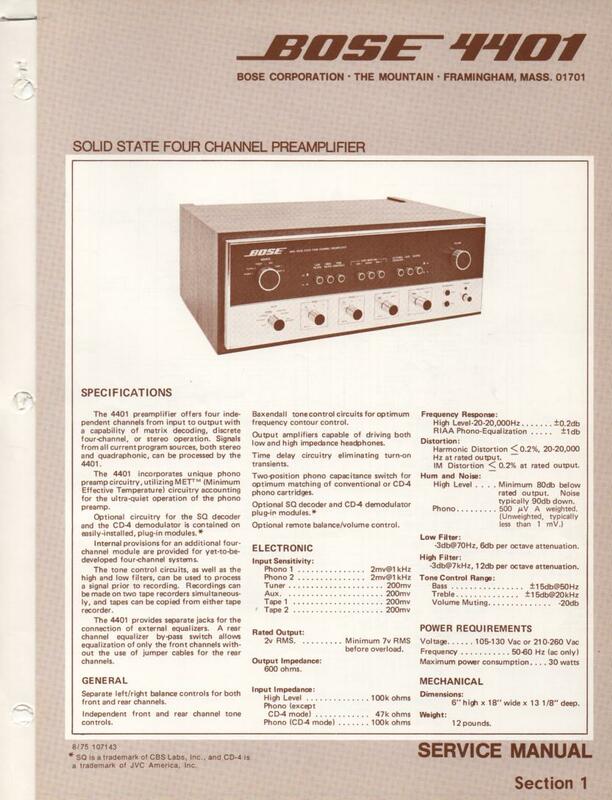 Manual PIONEER SCHEMATIC MANUALSQC800A 4 Channel Pre-Amplifier fold out schematics. Book 7 PHOTO COPY! 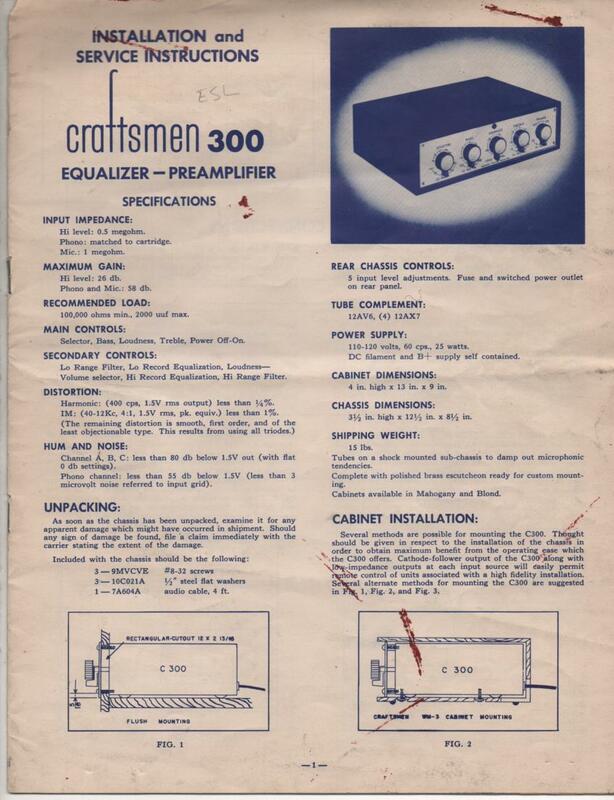 Manual RADIO CRAFTSMEN300 Equalizer Pre-Amplifier Service Manual PHOTO COPY! 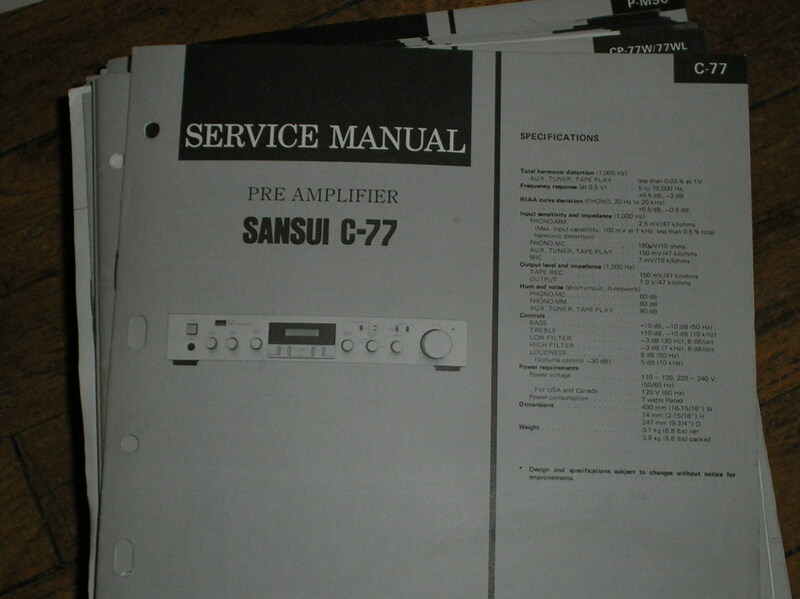 Manual SansuiC-77 Pre-Amplifier Service Manual PHOTO COPY! 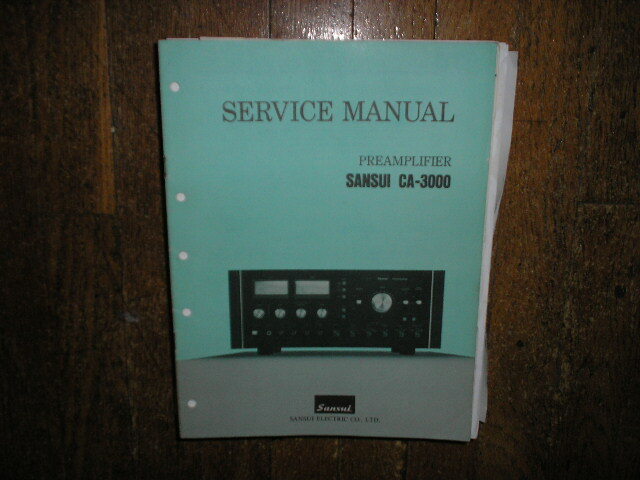 Manual SansuiCA-3000 Pre-Amplifier Service Manual PHOTO COPY! 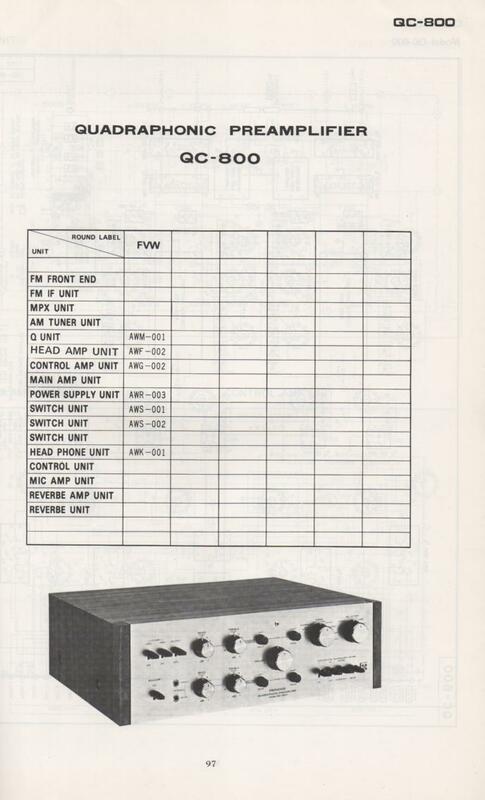 Manual Viking PB10 PB10-22 Pre-Amplifier Schematic and Data Sheet PHOTO COPY! Manual VOICE OF MUSIC20026 Pre-Amplifier Service Manual PHOTO COPY! Manual VOICE OF MUSIC20054 Pre-Amplifier Service Manual PHOTO COPY!